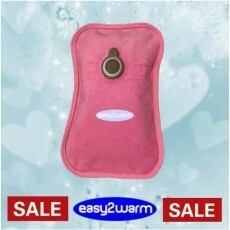 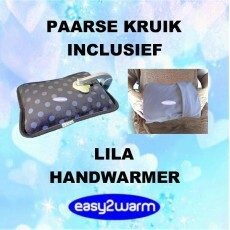 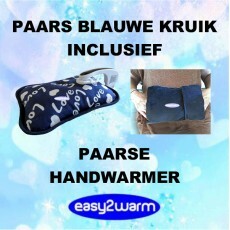 RECHARGEABLE ELECTRIC HOT WATER BAG - PINKThe Easy2Warm Rechargeable Electric Hot Water Bag is a ver.. 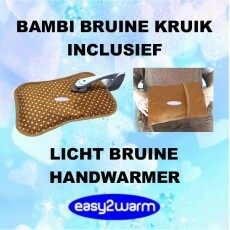 SORRY, SOLD OUT!RECHARGEABLE ELECTRIC HOT WATER BAG - BAMBI BROWN SPOTTED - LAST CHANCE SALEThe Easy..
RECHARGEABLE ELECTRIC HOT WATER BAG - DARK BLUE WITH WHITE HEARTS AND LOVEThe Easy2Warm Rechargeabl..
RECHARGEABLE ELECTRIC HOT WATER BAG - LIGHT BLUE The Easy2Warm Rechargeable Electric Hot Water ..
RECHARGEABLE ELECTRIC HOT WATER BAG - LIGHT GREYThe Easy2Warm Rechargeable Electric Hot Water Bag is.. 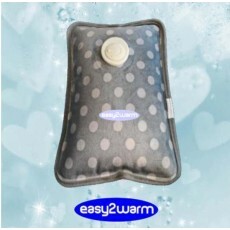 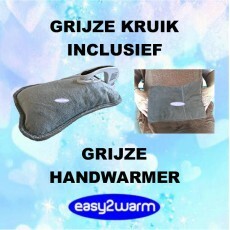 LUXURY RECHARGEABLE ELECTRIC HOT WATER BAG - GREY - BEIGE SPOTTEDThe Easy2Warm Rechargeable Electric.. 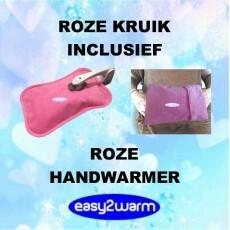 LUXURY RECHARGEABLE ELECTRIC HOT WATER BAG - PURPLE - LILAC SPOTTEDThe Easy2Warm Rechargeable Electr.. 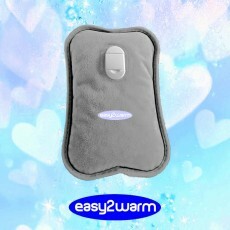 ADVANTAGE PACKAGE RECHARGEABLE ELECTRIC HOT WATER BAG, INCLUDING HAND WARMERYou can save extra money.. 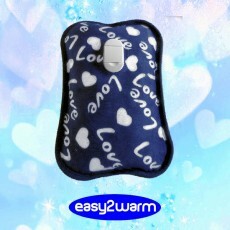 ADVANTAGE PACKAGE RECHARGEABLE ELECTRIC HOT WATER BAG, INCLUSIVE HAND WARMERYou can save extra money.. 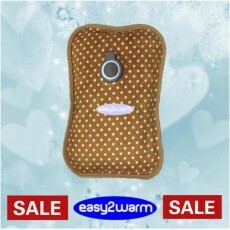 ADVANTAGE PACKAGE LUXURY RECHARGEABLE ELECTRIC HOT WATER BAG, INCLUDING HAND WARMERYou can save extr.. 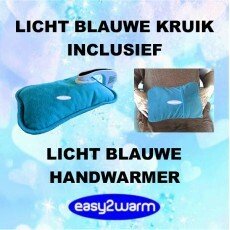 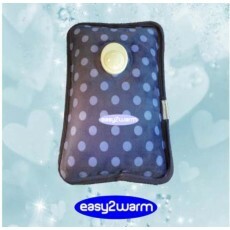 ADVANTAGE PACKAGE LUXURY RECHARGEABLE ELECTRIC HOT WATER BAG, INCLUSIVE HAND WARMERYou can save extr..